You've got quite a bit of money invested in your final drive motors, and when they go down it impacts your entire operation and your bottom line. In this Shop Talk Blog post, we'll review common symptoms of final drive problems, what they mean, and how to troubleshoot them. When your final drive starts to have problems, one of the first things you might notice is a change in your machine's behavior. If your machine goes in reverse when you tell it to go forward (i.e., your final drive is spinning backwards), that’s usually a simple fix involving swapped input and return lines on your hydraulic motor. If your machine keeps veering off to one side, that means there is a problem related to the final drive on that side. Lack of power when going uphill or carrying a heavy load is another sign that there are issues related to your final drive. Keep in mind, though, that the final drive is not always the source of the weakness. Other potential problems can include a weak charge motor, high friction (this is especially true with tracks), or problems with the brakes. It could also be an issue with the swivel joint. Something else to keep in mind on your machine is the condition of the hydraulic hoses. If a hose connected to the final drive develops a leak or fails, it will affect performance. Hoses and fittings should be periodically checked for signs of a leak. Just don't check for leaks by hand while the machine is running, or you run the risk of hydraulic fluid injection. If one of these issues is the culprit but you replace your final drive, you'll just keep having the same problems as before. Always eliminate external causes first. A noisy, vibrating final drive is definitely a sign that something is wrong. 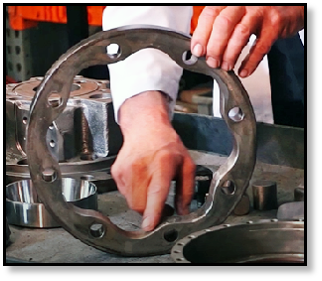 Common causes include insufficient gear oil, contaminated gear oil, worn out bearings and/or gears, a loose sprocket, or simply a worn out final drive. High-pitched squeaking sounds are never a good sign, either. That is typically caused by a weak charge pump and is usually accompanied by a weak final drive motor. 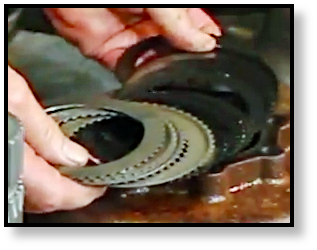 If the gear box on your final drive is overheating, it could be a result of insufficient gear oil, hot hydraulic fluid, brake issues, or worn out bearings. If there is not enough gear oil, that points directly to a leak and a seal that needs to be replaced ASAP. Lubrication is a common source of problem on final drives. 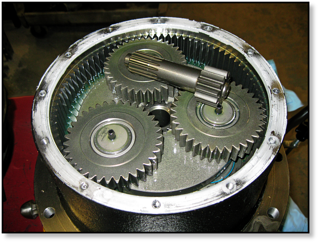 If your final drive is running hot to the touch or vibrating excessively, that could point to problems with gear oil levels or gear oil quality. Gear oil issues are usually things such as too much gear oil (likely caused by a clogged case drain line) or too little gear oil (probably caused by a failed main seal). If the fluid that is leaking out is very thin in consistency, you may have a hydraulic leak. That, too, can point to a failed main seal. If your cover plate cracks or has blown off, that is very bad. In all likelihood, the inside of your final drive motor is totaled. A cracked or blown cover plate is usually caused by a clogged case drain filter. When the case drain filter clogs, it forces an increasing rise in hydraulic pressure inside the final drive that is powerful enough to do massive damage. 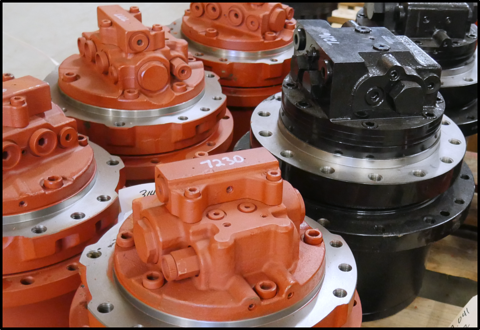 One of the major causes of problems for Geroter final drives and radial piston final drives is contamination. 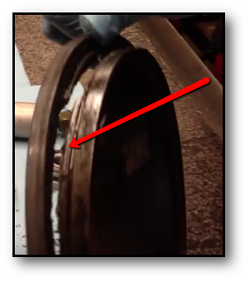 Contamination can be generated within the final drive through regular use, introduced through a seal that needs to be replaced, or caused by careless handling of lubricants and hydraulic fluid. Contamination can also happen when a final drive motor is opened up in an environment filled with dust and debris. Hydraulic filters are designed to catch contaminants, but they don't always catch them before they have had a chance to do serious damage. We have some Shop Talk Blog posts where we "autopsy" a final drive -- take it apart, look at what's going on inside, figure out how it failed, and provide some insight on how to keep it from happening to your final drive. When your final drive does fail, be sure to make a note of what was going on when it happened and what the symptoms were -- information like this can go a long way in helping you get a timely and correct diagnosis of what is wrong with your final drive. Once you do hear back about what is wrong, take your final drive diagnosis seriously. If the damage was preventable, make the necessary changes to your maintenance routine for your replacement final drive motor. If this happens to your final drive, you need to take it in for troubleshooting and repair.